So the short of it is that, as of this post, I just returned from a four-day excursion to Florida. As a (rural) New Yorker, in February, this is a cataclysmic change of scenery, seeing as I’ve never before been to Florida except “when you were a baby,” (doesn’t count, Dad) and some years later as a teenager (where I was mostly stuck indoors). In other words, I was in a town just outside Orlando – known as Kissimmee – and as a sentient adult with (limited) independent mobility (we had a golf cart), I was able to actually explore the locales. The purpose of the trip was in fact to visit my ninety-seven year old Hungarian grandmother, whom I have not seen personally in upwards of ten years. She is as pruney and dependent as any near-centennial could be expected to be, but she is a woman who is more at peace with the world than practitioners of Buddhism I’ve met, and retains a sharp mind. To put it short, this is a lady who is the closest thing I have to a living ancestor, someone who lead an extremely busy and good life, and is now in the process of winding down. “What’s the point?” she’s said with a shrug and a smile, in regards to people mentioning that they hope she makes it to ninety-eight. The family at large is about as prepared for her passing as she is, and her children (my mother among them) visit frequently. It would seem that Nana is largely unconcerned with herself, often insisting that the rest of us not be terribly bothered by … things about her, though she is delighted to see us regardless. It’s just like a cantankerous old German blacksmith once told me: “Ze Hungarians, yes, zey are hard-heads.” I assume he means stubborn, but I’ll keep that in mind next time I get into a street fight and must resort to assuming my well-trained Ram Stance. But it is a sobering moment, to meet someone who was almost born in the 19th century. We were in a cultish, Lutheran/Methodist (I don’t remember which and honestly don’t care about the difference, and neither does Nana) golf course slash elder-person habitat. Not a mountain in sight, and I’m a country-boy-turned-computer-jockey – I feel lost without mountains to put my back against when orienting myself, and the fauna. Lizards! Egrets, whooping cranes, and lizards. Anoles, to be precise. Like, everywhere. Anyone who’s been to Georgia or further south must not find this interesting, but as someone whose principle source of reptilianhood has been garter snakes and painted box turtles, it felt like going to another country. Seeing all the Spanish Moss and unraveling palm trees heightened this sensation. 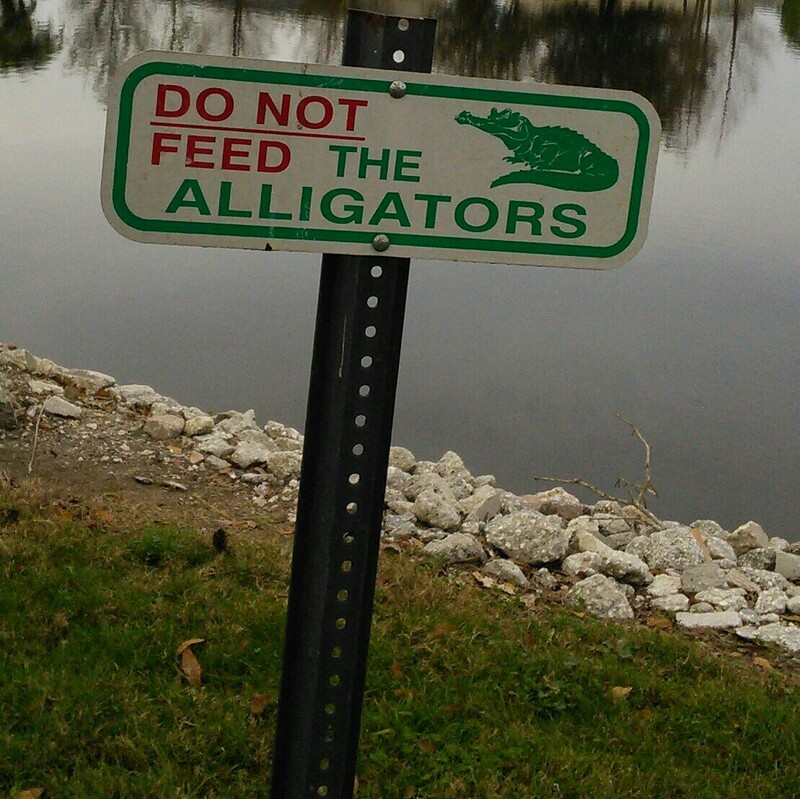 But not crocodiles, in spite of the hints. Aside from observations of flora and fauna, and the memorable company of a progenitor of me whom I, like I said, hardly saw for most of my life, there was considerable progress in terms of writing. Alone in the apartment we rented or cramped in the giant tin bird on the way two and from from the Land of Flowers, I nearly filled out half a notebook full of prose. To that end, I may have discovered my ideal writing retreat: somewhere 40,000 feet above the ground where sunlight dances off golden cloudscapes and where claustro-acrophobics curse existence. This entry was posted in Experience and tagged florida, travel, writing. Bookmark the permalink.